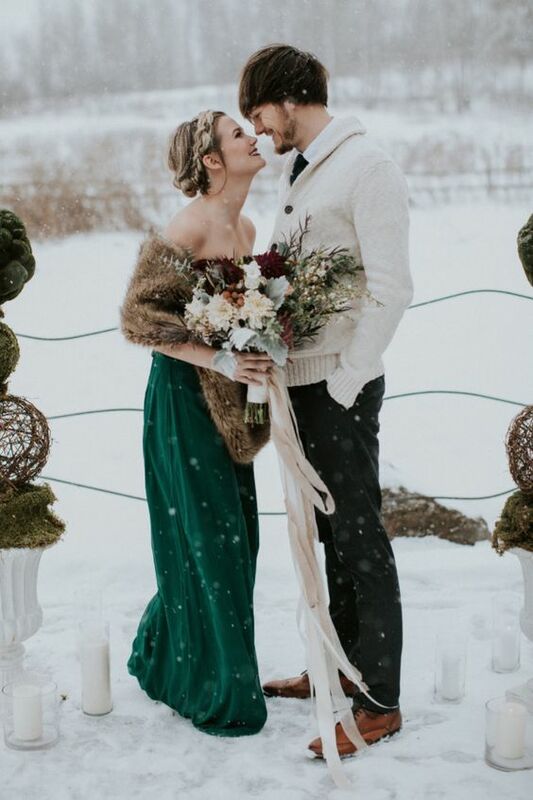 Christmas weddings are very special, they are filled with that holiday spirit and cheer that is like no other and that we are looking forward to during the whole year. 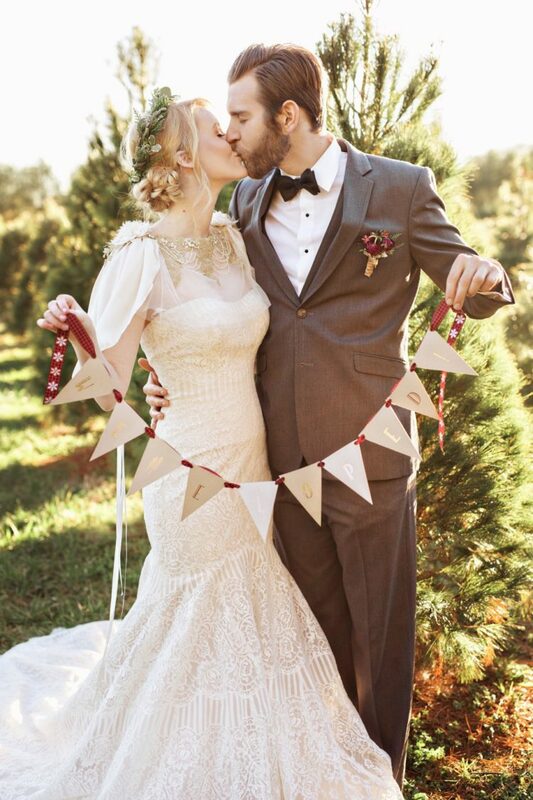 New Year’s Eve weddings are more glam and sparkly but Christmas ones are often more traditional and vintage ones. 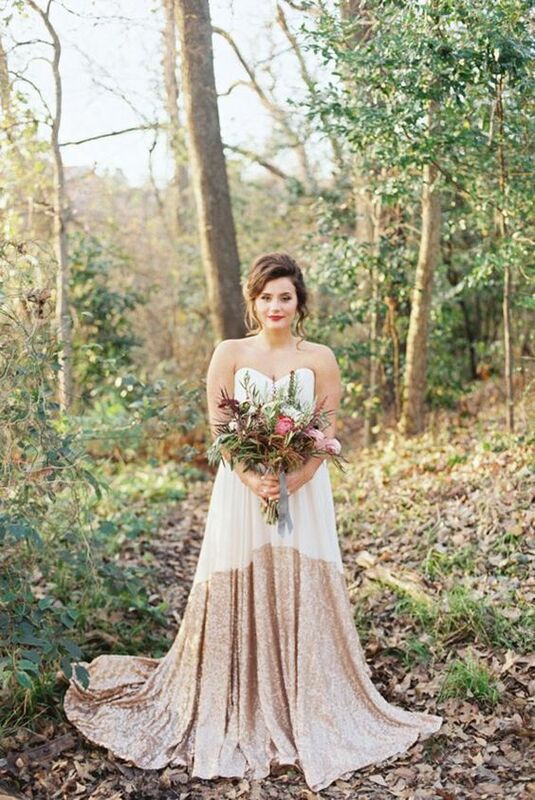 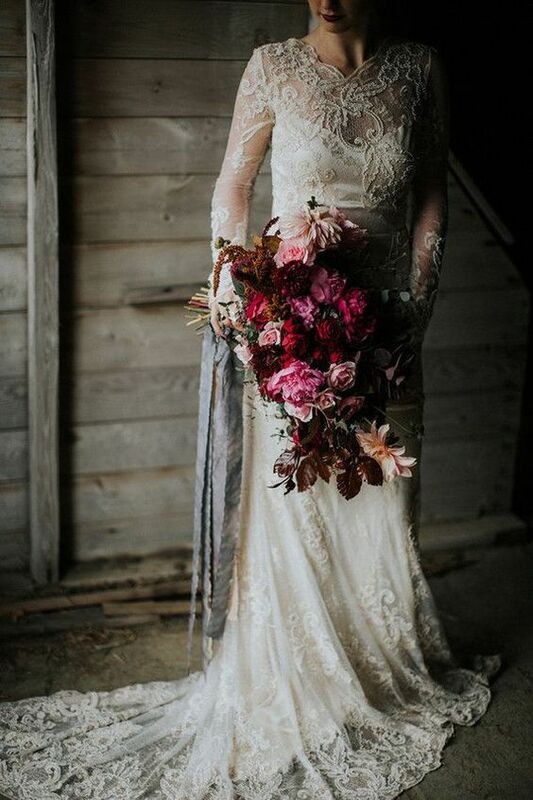 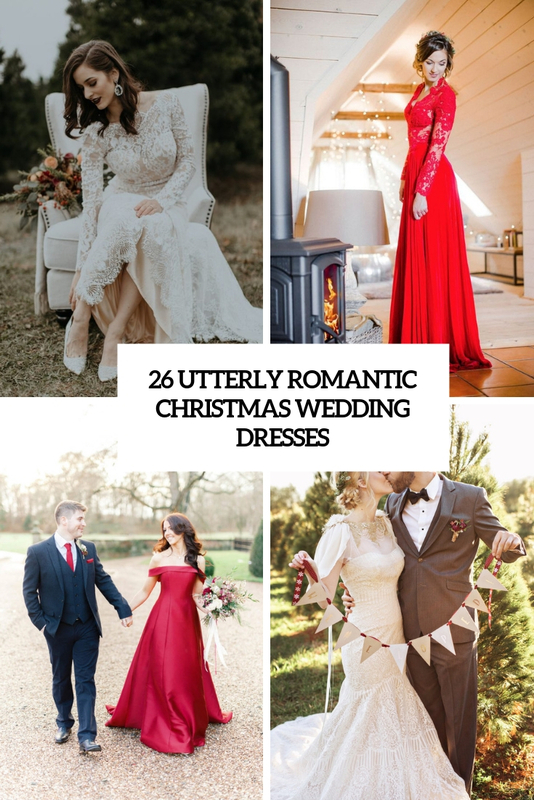 If you are a Christmas bride, you may be looking for inspiration to dress up. 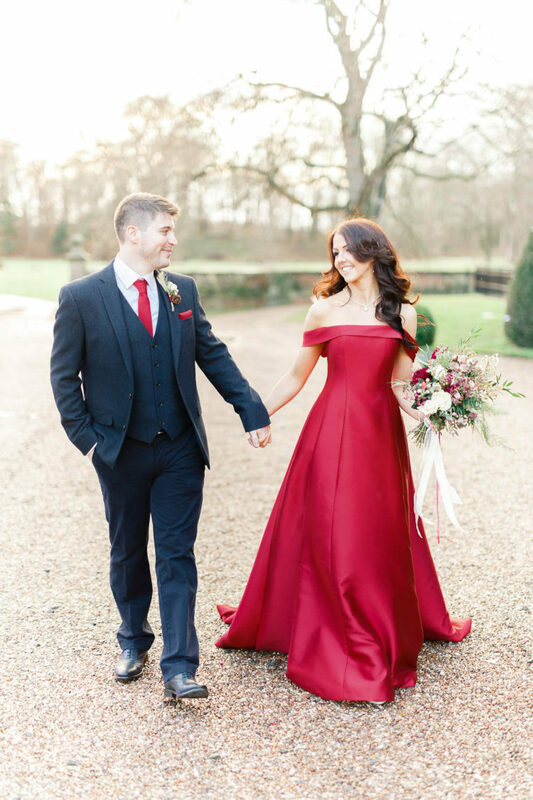 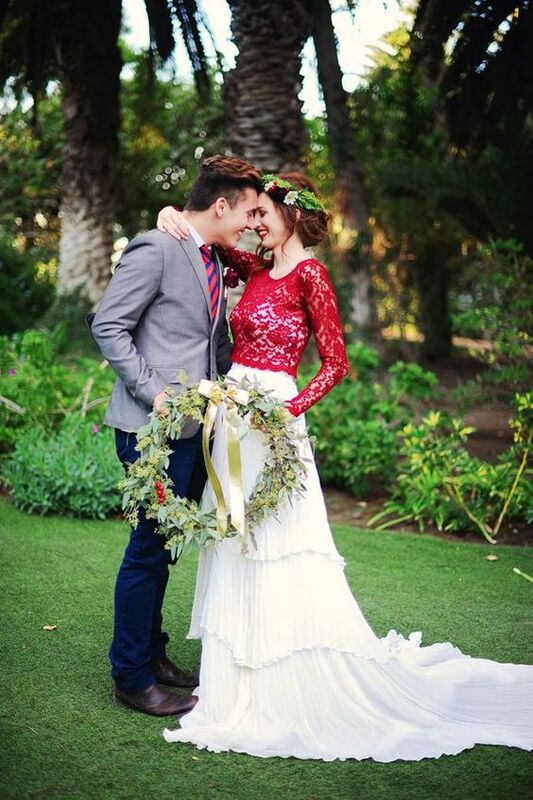 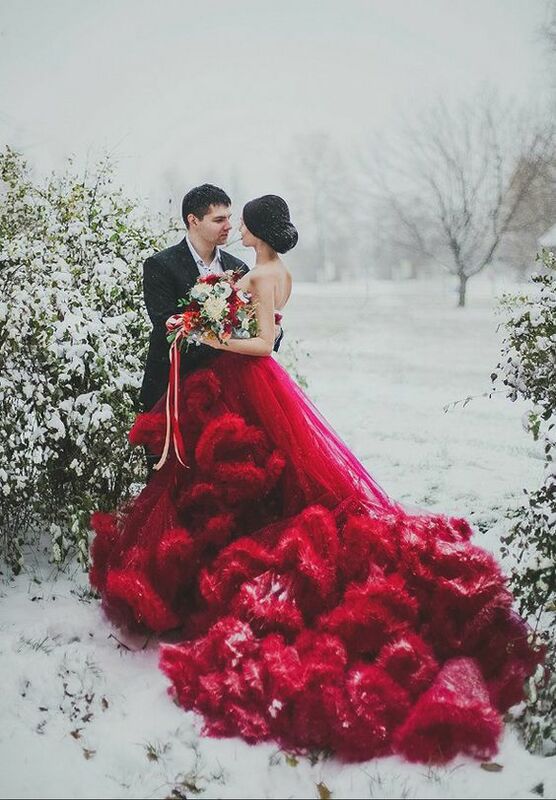 Here are some adorable Christmas wedding gowns that may inspire you. 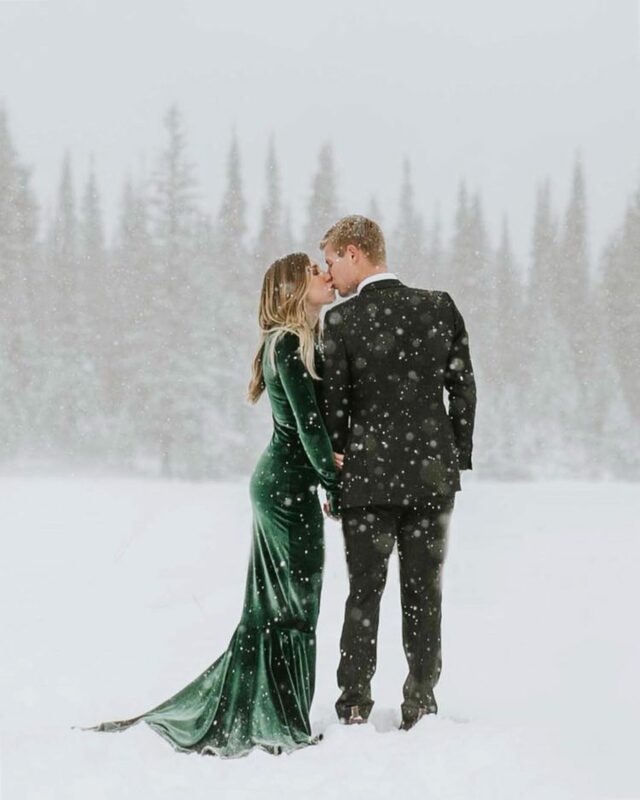 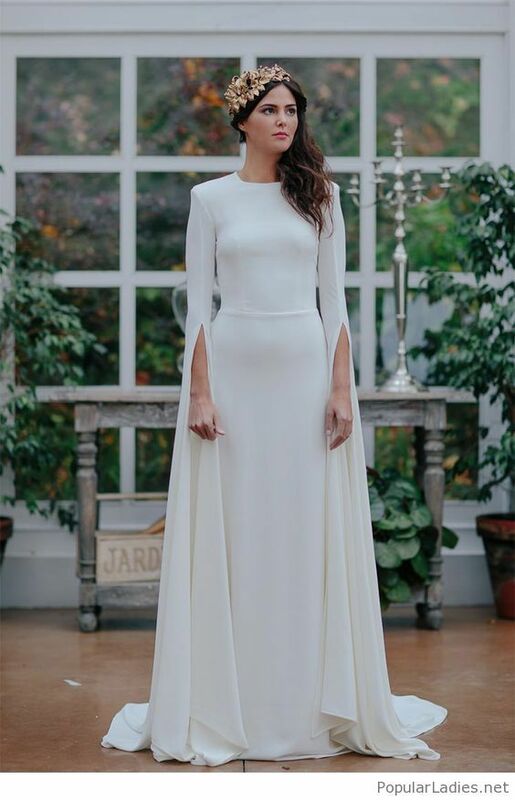 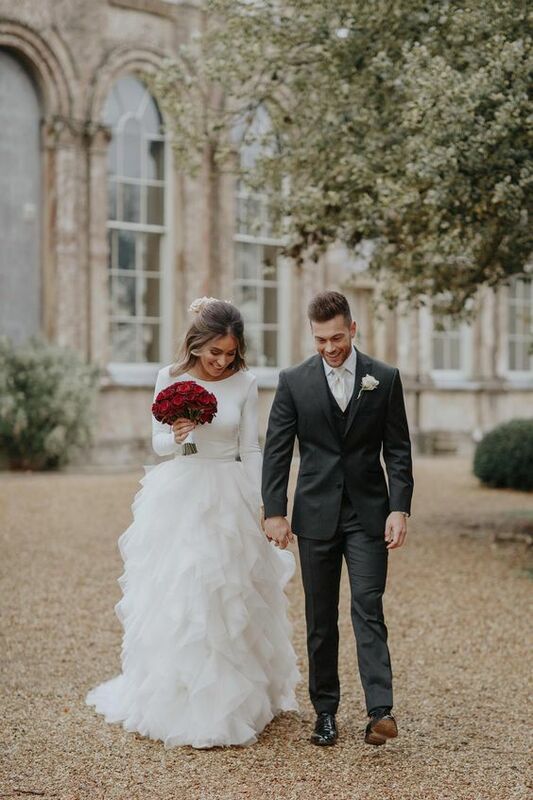 Colored wedding gowns are super popular but for Christmas especially because you will stand out in white snow or in pale winter colors for sure. 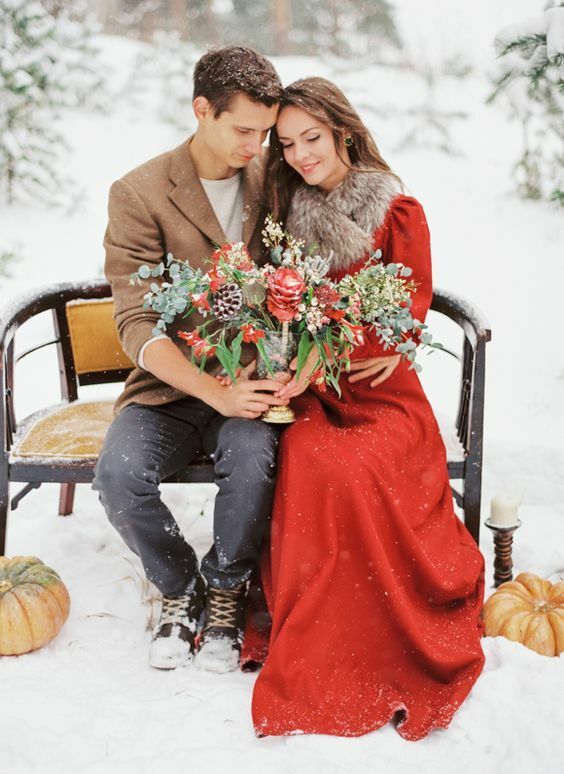 Number one color for Christmas is red, of course, one of the most traditional shades for winter holidays. 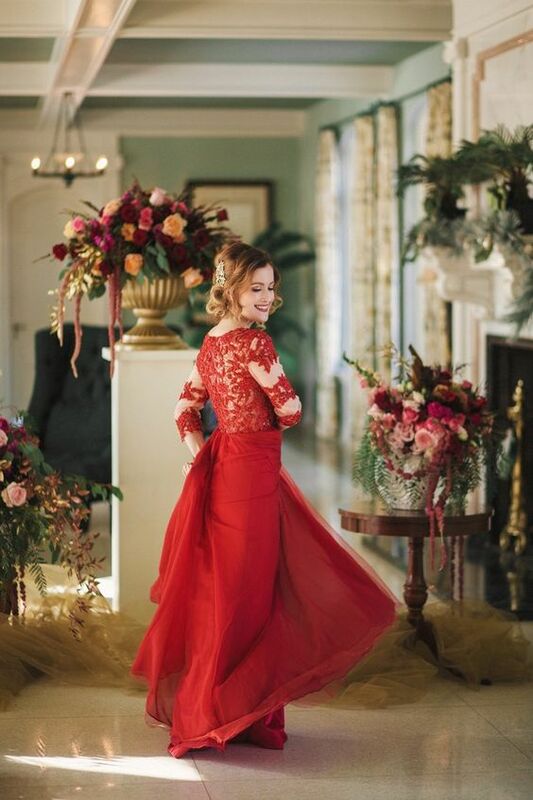 Rock a bold red gown, a plain or a lace one, with a high neckline or off the shoulder or any other that you like. 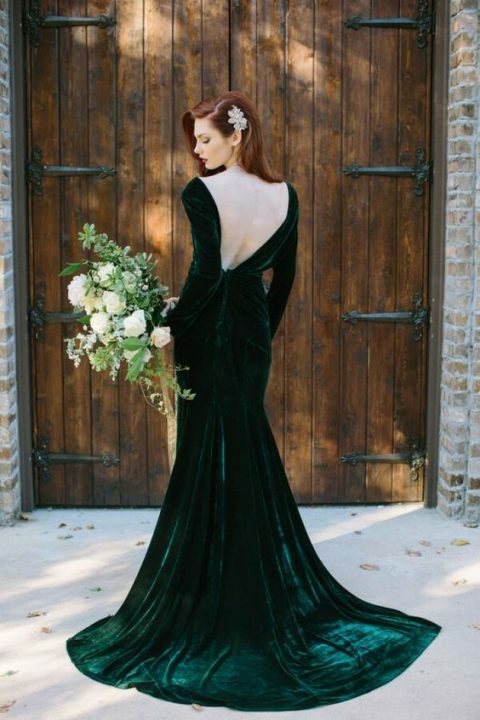 Green or emerald is another traditional color for Christmas, and there’s a variety of dresses, from velvet to sequin ones. 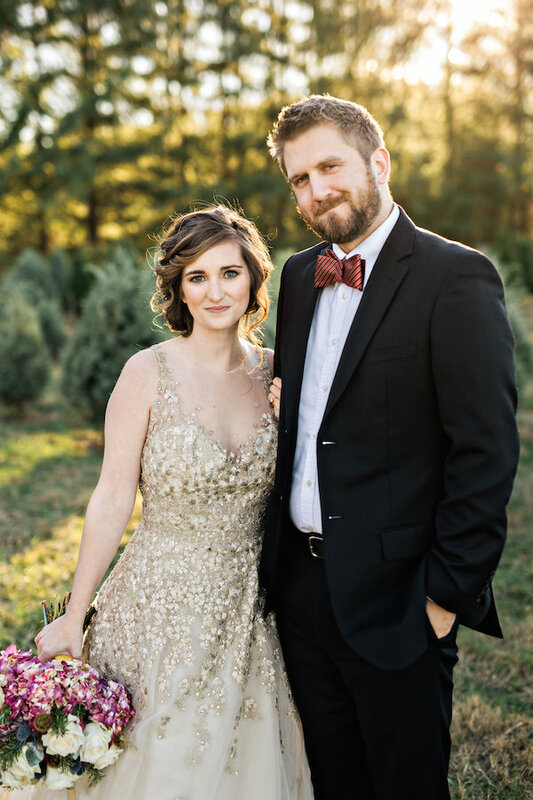 Gold is one more great color and you may also try silver wedding dresses on, this is a great way to shine bright like a diamond during the whole day. 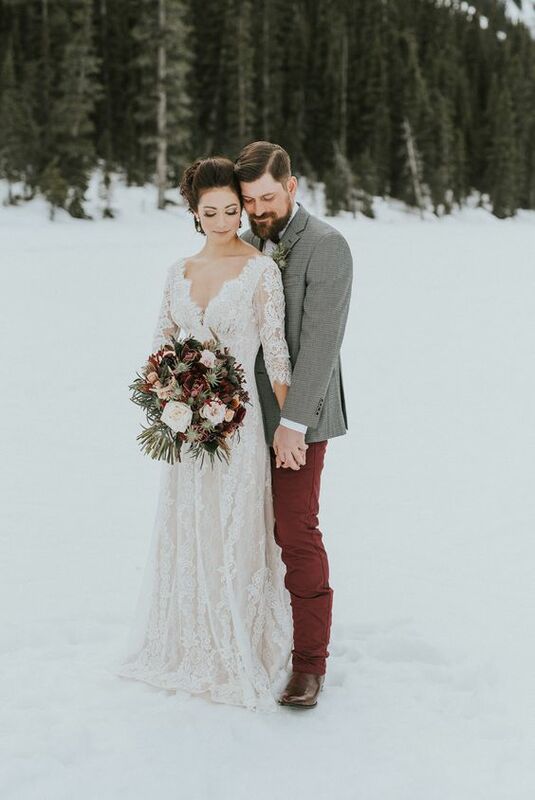 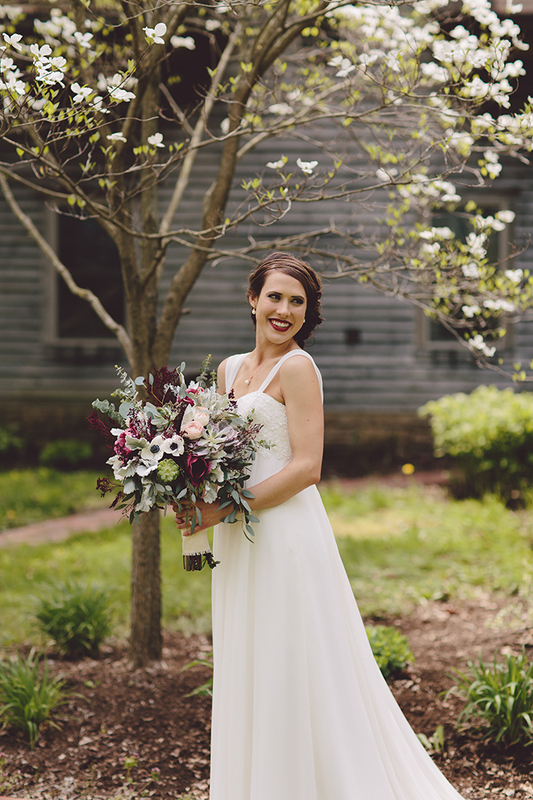 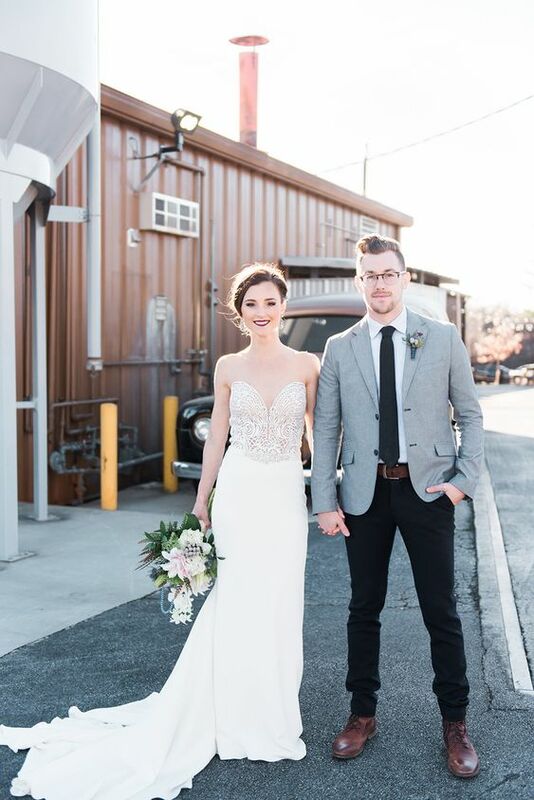 You may also add a colorful touch to your bridal look but aren’t ready for a colored dress, put on a red lace top over your dress for outdoor shots – it’s gonna look cool! 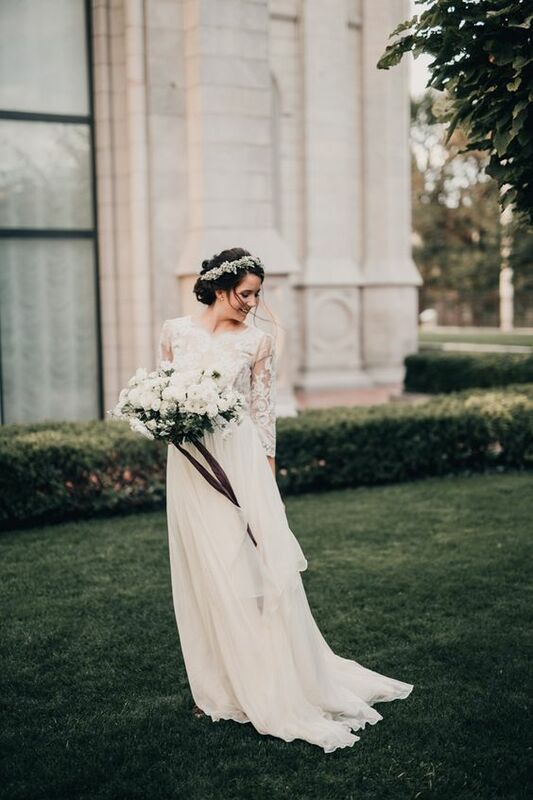 If you prefer more traditional bridal colors, take a look at cool vintage-inspired lace gowns with any silhouettes and cuts that you like. 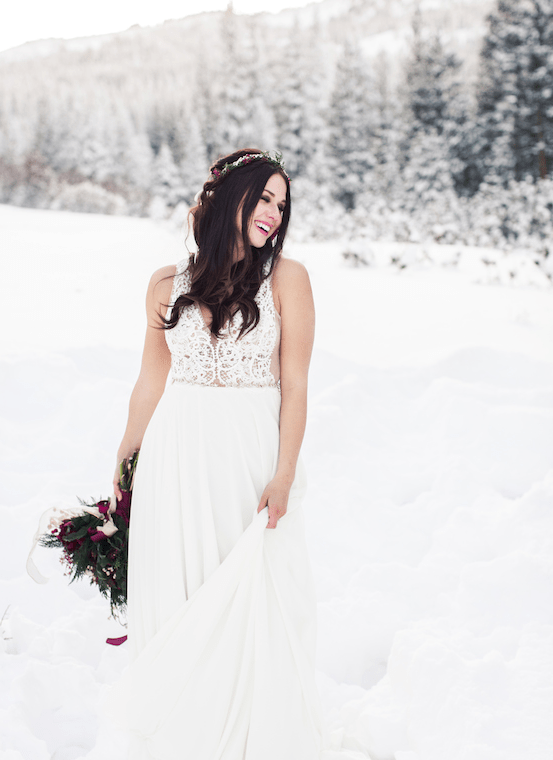 Think of trendy wedding gowns with a lace bodice and a plain skirt, rock embellished bodices for a brighter look. 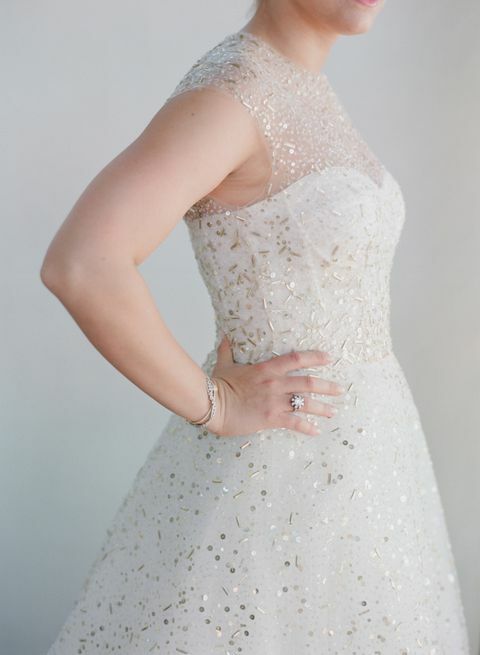 There are catchy gowns with sequined parts that will add a sparkly touch to your look but not too much. 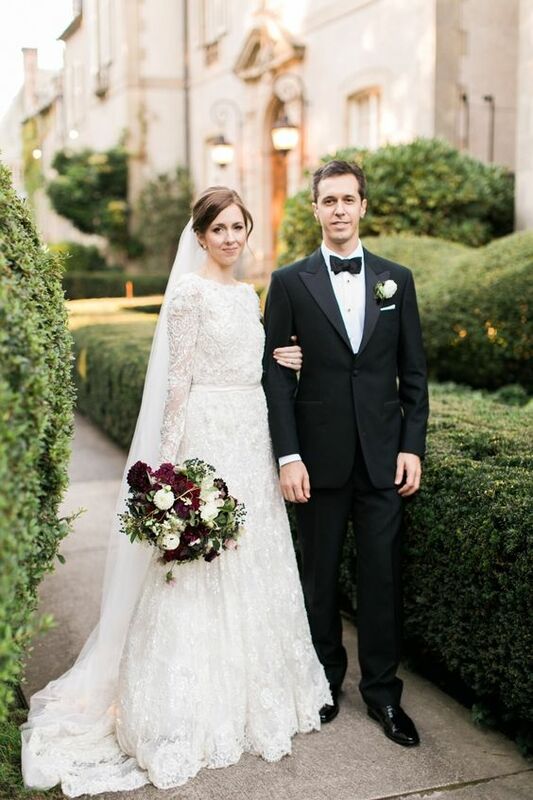 Go for a long veil and add statement earrings or an embellished sash.